It's not so bad after being grounded in Cebu. Nine of us was determined to get stoked one Sunday, the wanderlass was determined to go somewhere, anywhere! With last minute arrangements the night before, we hired an outrigger boat through Aquadive Inc. since their own boat wasn't available, the owner helped us find another one, "Super Lucy", it was big enough to comfortably fit like 30 people. 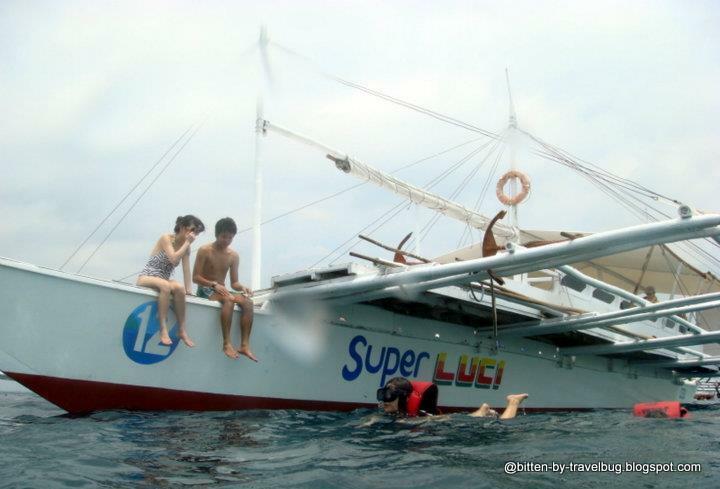 It was a good deal for P6,500 in comparison to other smaller boats. I could feel the monsoon wind that day, true enough, the sea was rough but Super Lucy was big enough to brave it and keep us safe. Our first stop was Gilutongan Island. 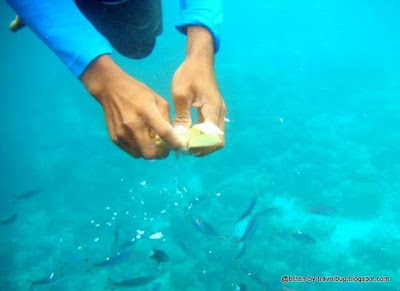 Gilutongan is a fish sanctuary. 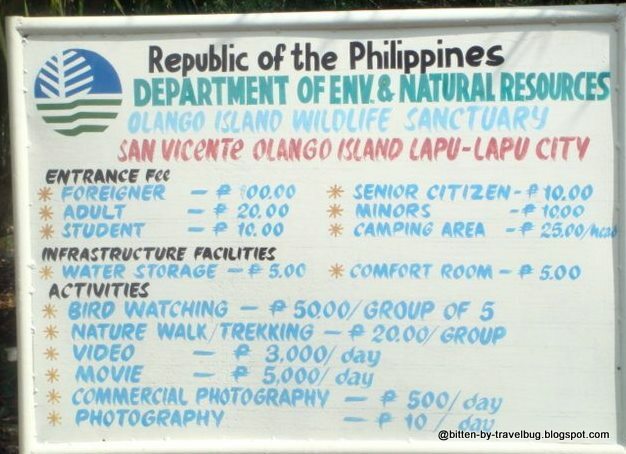 Entrance fees is pegged at P100 per person for snorklers and non snorklers. 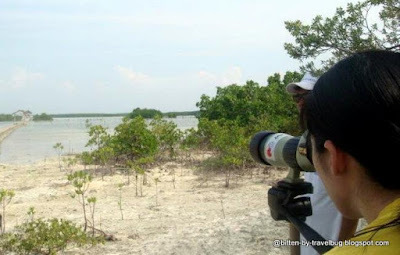 This trip was meant to see the bird sanctuary in Olango Island. It has been years since I last went there but didn't see anything. So we thought of revisiting it. November is said to best time to visit Olango Island Wildlife Sanctuary, and it must be timed at least two hours before high tide. The bird sanctuary doesn't appear like what I imagined, where birds fly in flocks. 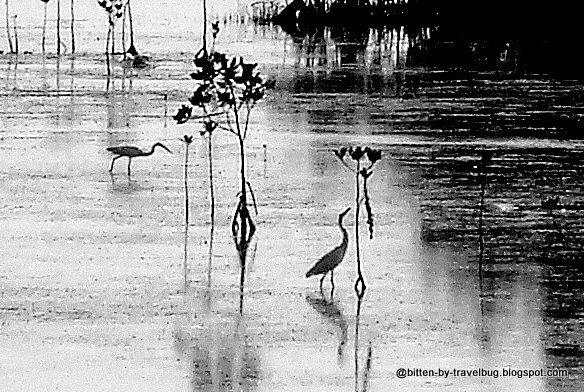 When they get there, the birds are scattered around the vast sanctuary, feeding themselves, making their stop over from the winter months on the other side of the globe. You would need binoculars to see most of them. With an outrigger boat, depart the mainland of Mactan Island to Sta. Rosa Port Terminal, Olango Island. 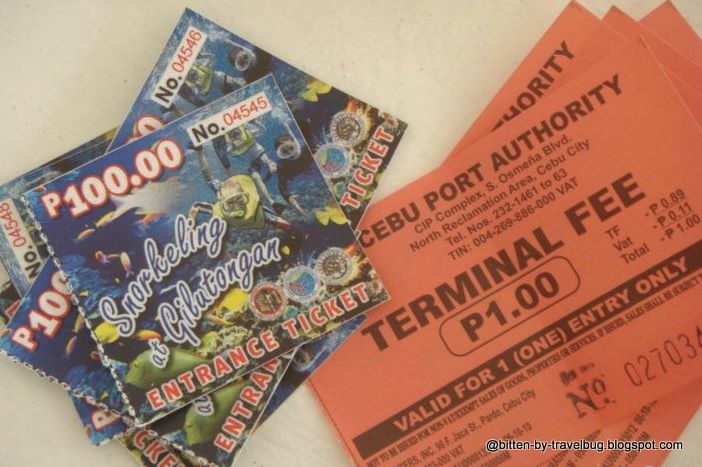 P1 per person terminal fee plus P64 docking fee is charged by the Cebu Port Authority. 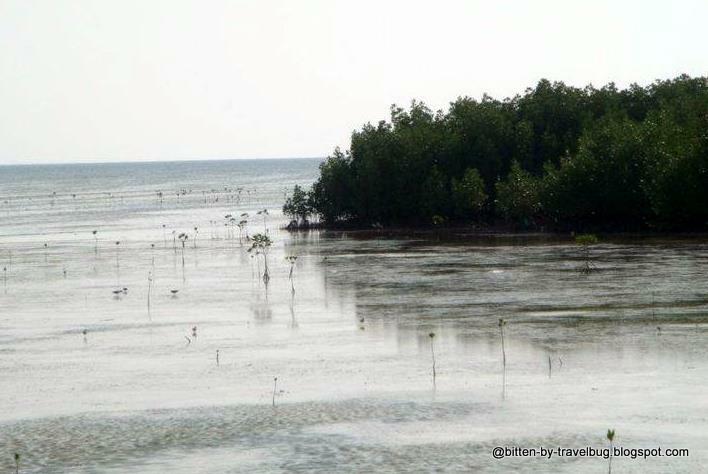 From the terminal, take a tricycle to Olango Island Wildlife Sanctuary. 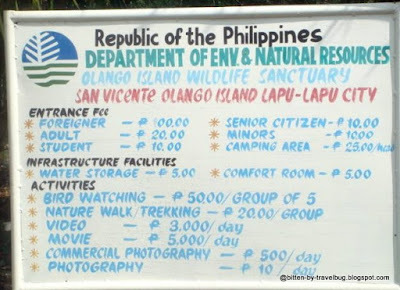 After haggling with opportunist tricycle drivers, we paid P250 for 4 pax, roundtrip. We know we can haggle it much less than that but my bargaining skills wasn't that good. The tricycle waited for us, for our return trip. fees, fees, fees... i don't mind paying as long as they issue receipts!